The great taste of Hellmann's® or Best Foods® Real Mayonnaise makes a perfect sauce every time with this easy Hollandaise recipe. 1 Combine all ingredients in small saucepan. Cook over low heat, stirring constantly, until heated through, about 5 minutes. 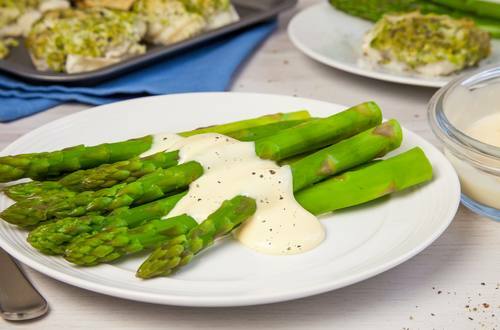 Serve over hot cooked asparagus or over poached eggs.